New Delhi, May 5: General Motors today announced the celebration of 500 Million GM-branded vehicles built globally over the past 106 years ' the most by any automaker. The company is putting its customers at the center of the accomplishment. For customers, these vehicles played roles in weddings, family vacations, graduations, new businesses and countless milestones along life's journey. 'This celebration isn't about GM's manufacturing prowess. It is really about our customers and the positive experiences they've had with Chevrolet and other GM-branded vehicles around the world,' said Stefan Jacoby, GM Executive Vice President and President of GM International. 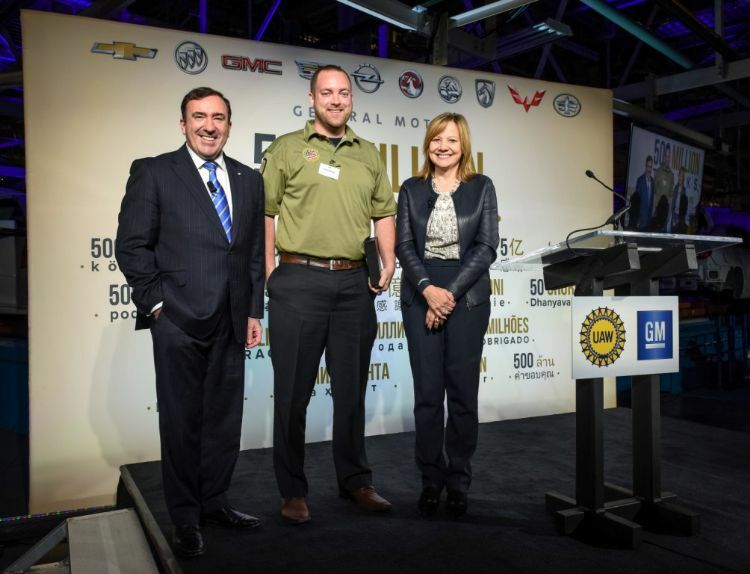 At a U.S. event celebrating the milestone, GM CEO Mary Barra spoke of how the company's vehicles have played vital roles in the lives of its customers ' from daily commutes to family vacations, and in milestones such as weddings and graduations ' and how GM looks to build on the achievement.
' A young man in China so inspired by his first vehicle ' a Chevrolet Cruze ' that he customized it to match his personality, then quit his job and started a retrofitting business to help other customers personalize their rides. took their first automobile ride in a 1912 Buick. By 1931, GM owned Vauxhall in the United Kingdom, Holden in Australia and Opel in Germany. GM's first manufacturing joint venture with SAIC in China ' Shanghai GM ' began in 1997. China is now GM's largest market, where it has 11 joint ventures and two wholly owned foreign enterprises. Hundreds of GM innovations have helped change the industry, including the first V-8 engine, first automatic transmission, first automotive crash test dummies and first air bags in a production vehicle.